New Santa Ana | How many people have to die on Santa Ana’s streets? Last year, a Santa Ana resident who saw Jimmy living on the sidewalk along Warner Ave. reached out to the city asking them to help Jimmy get into a shelter. The city contacted Jimmy several times and he finally agreed to allow them to take him to the Courtyard shelter in downtown Santa Ana. Unfortunately, Jimmy only stayed at the shelter a short time, and decided to go back to Warner and Bristol. This may explain why homeless are reluctant to accept assistance from the County, and prefer to stay on the streets. In 2017, over 200 people who were homeless in OC passed away, and two memorial services were held in Santa Ana and Anaheim to remember them. 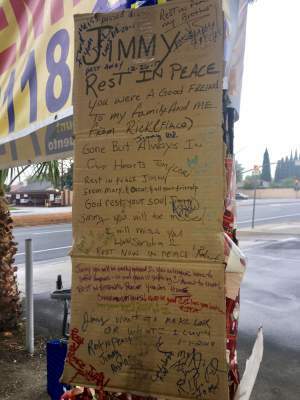 Hopefully, the recent murder of former soul singer Betty Willis, who was sleeping outside a business on First St., should be a wake up call to the County of Orange to address the homeless issue and provide more permanent housing! Thank you for honoring the lives of Jimmy and Betty Willis. I did not know Ms. Willis, but I did know Jimmy for a number of years. He was in pretty bad condition for a long time. 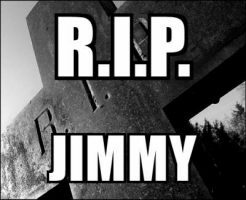 In the case of Jimmy and many other persons’ living their lives homeless on the streets, it is a long, slow and often times lonely death. RIP Jimmy and Ms. Willis.